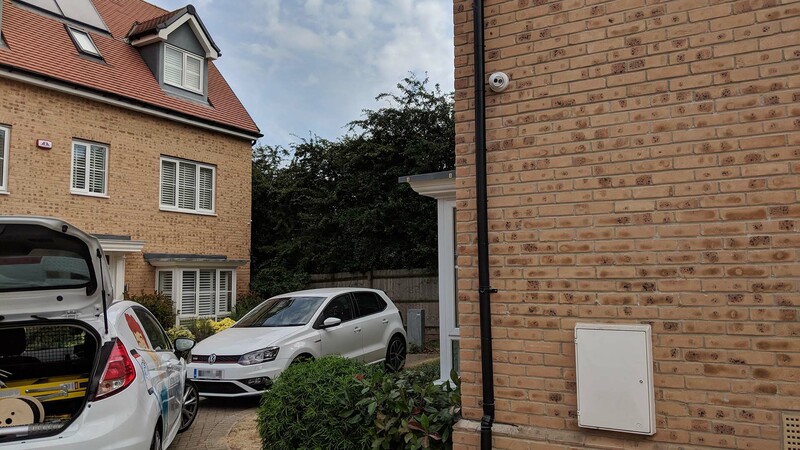 The customer for this residential CCTV Installation in Rayleigh found us online whilst searching for certified installers in his area. After making contact with several companies he realised that our Fixed Prices, No Surprises policy coupled with our customer focused service meant that CCTV Aware was the company to secure his home. The customer had already carried out his own research and identified that he wanted a Hikvision system for his home. Being in IT himself, he knew of the capabilities of the Hikvision systems that came at such affordable value. After a short conversation on the phone, we established that three cameras would be most suited in this scenario to ensure all angles and entry points were covered. The customer then placed his order online securely via our website and chose an installation date of his choice. We then arrived on the day and performed the installation of a 3 x Camera 6MP IP Hikvision CCTV System in just one day. We only perform one installation per day, so there was no rushing this one. On completion of the installation, we delivered our tutorial and left the customer with our custom in house Quick User Guide. 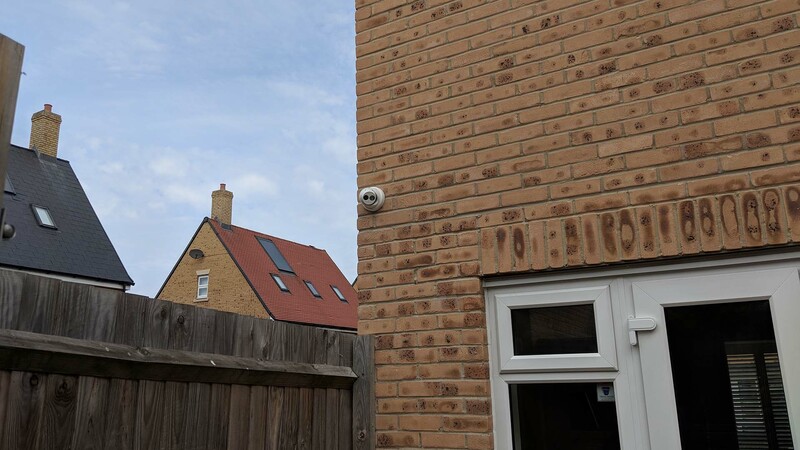 Are you looking for a residential CCTV Installation in Rayleigh? If you would like to benefit from our CCTV Installation services, please do not hesitate to get in touch with us today. Hikvision is the world’s leading supplier of video surveillance products and solutions. Featuring the industry’s strongest R&D workforce, Hikvision uses its state-of-the-art manufacturing facilities to design and develop innovative CCTV and video surveillance products. The company’s complete product suite includes Smart IP cameras, HD analog cameras, speed domes, NVRs, DVRs, video management software, access control and alarm systems, encoders, decoders, and other elements of sophisticated security systems. Hikvision products serve a diverse set of vertical markets that includes retail, banking and finance, transportation, education, commercial, government, and residential applications. Since its inception in 2001, Hikvision has played an active role in video surveillance market, devoting 8% of its annual revenue to research and development for continued product innovation. Hikvision, which is publicly listed on the Shenzhen Stock Exchange, has a truly global presence with regional offices in nearly 20 locations around the world. 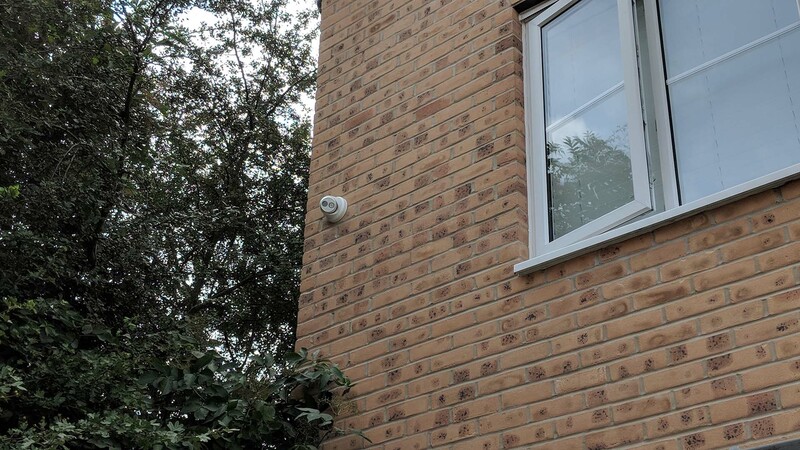 The customer for this Hikvision CCTV Installation in Paddington, London was recommended to us following a recent breakin.